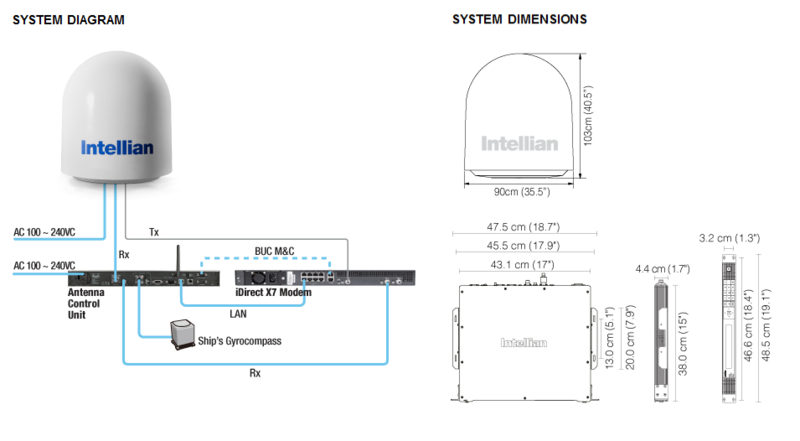 Ready for service on Telenor’s High Throughput Thor-7 network, the Intellian v60ka Satellite Communications INT-V60KA is built on Intellian’s next generation 60cm antenna pedestal. Offering connectivity at blazing speeds in a smaller, lightweight form factor, the Intellian v60Ka pedestal is certified to the highest military standards for extreme shock and vibration. This ensures outstanding performance and reliability for smaller vessels navigating even the most challenging ocean conditions.